Do you need more clients? More income? To earn a better living with less effort? The answers are in GET CLIENTS NOW!, the marketing and sales bible for consultants, coaches, and self-employed professionals. In this all-new 3rd edition, the GET CLIENTS NOW! book provides a complete sales and marketing system that’s simple to use, immediately effective, and can be customized to any service business. C.J. 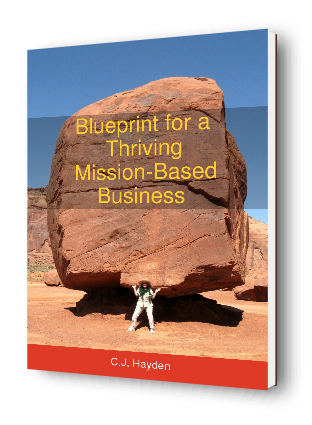 Hayden’s bestselling book offers a proven approach to constantly generate new clients and prospects. Using a simple cookbook model, you’ll identify the “success ingredients” missing from your current marketing activities, and create a personalized marketing plan drawn from a menu of options. Next, you’ll get detailed recipes for the tools and tactics that will make your plan work, and a structured, easy-to-follow 28-day program for putting your plan into action. Throughout, you’ll find insightful tips for overcoming the fear, resistance, and procrastination that can keep you from succeeding. Using detailed worksheets and exercises, you’ll create a winning marketing and sales program, based on your personality and unique situation. Featuring dozens of helpful examples and contributions from experts in marketing and motivation, this powerhouse guide shows you how to leverage the magic formula for successful marketing: choosing simple, effective tactics and using them consistently. Using social media to your advantage, and designing its role in your marketing. Building the high-touch relationships that are all-important in our high-tech world. New approaches for dealing with fear, resistance, procrastination, and the inner critic. Employing online marketing techniques like blogging, broadcast email, and search engine optimization. Guidance for establishing personal connections, strengthening relationships, and boosting credibility. Sales and marketing secrets from 50 different experts, from Debbie Allen to Alan Weiss. Integrating online and offline marketing into one cohesive plan. GET CLIENTS NOW! is more than just a book; it’s a complete support system for sales and marketing. Start by ordering the book below. Then you can join our free reader community to get personal help from C.J. and other readers of the book to design and implement your marketing plan, or find a business buddy or action group to help you stay motivated and inspired. You can also subscribe to our free monthly newsletter or the GET CLIENTS NOW! blog to get exclusive tips from C.J. and Kristine Carey on how to build your business. GET CLIENTS NOW! isn’t just a one-time fix for your marketing problems; it’s a whole new way to approach marketing your business! SPECIAL OFFER: Purchase your copy of GET CLIENTS NOW! today, and you’ll receive a free MP3 recording of The Secret to Marketing — It’s Not What You Think! Participants in this live session with C.J. said it was one of the most helpful programs on marketing they had ever heard. C.J. shares dozens of essential sales and marketing secrets in this 75-minute audio, which you can download instantly when you order the book. Questions about the book? Contact us! Should You Pursue that New Business Idea?